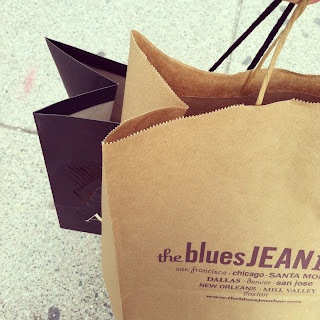 A couple weeks ago, I was invited into Blue Jeans Bar on Newbury Street to experience their unique way of shopping. 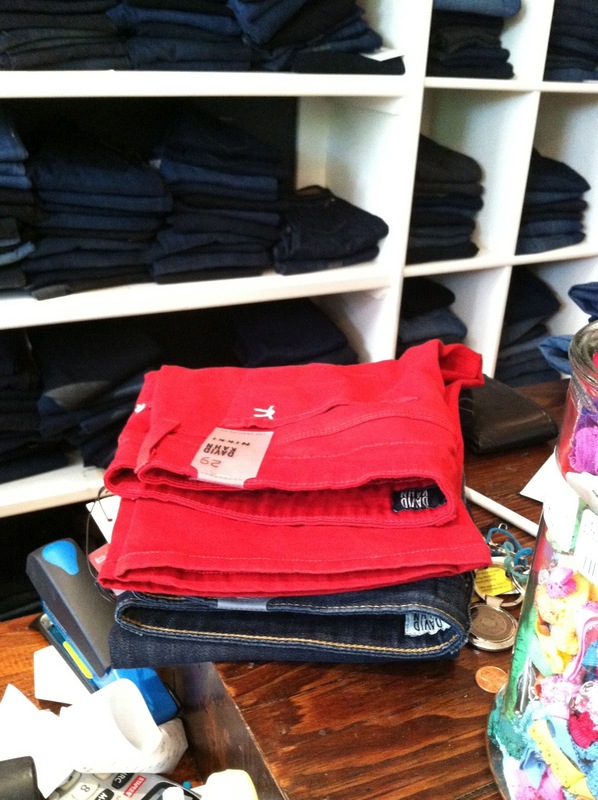 Immediately upon walking in, I was greeted with a rainbow of jeans behind a bar. The concept is simple and unique. 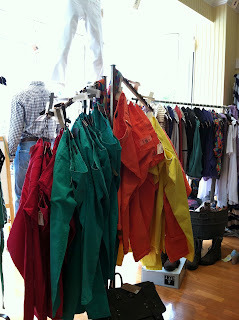 You "order" what you are looking for: straight, colored, ankle, flared, white, etc...You name it, they've got it. After providing my order of wanting to find a staple piece (some stretch, flare but not too flared, dark wash, not low rise but not a mom jean), they immediately suggested David Kahn Jeans & James Jeans. After trying on 20 pairs (no joke! 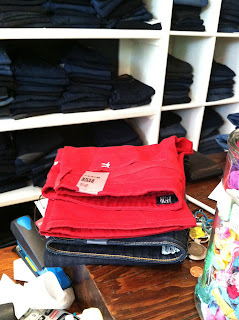 ), I went with two paris of David Kahns: the dark wash, flared I was looking for and a similar style in red. 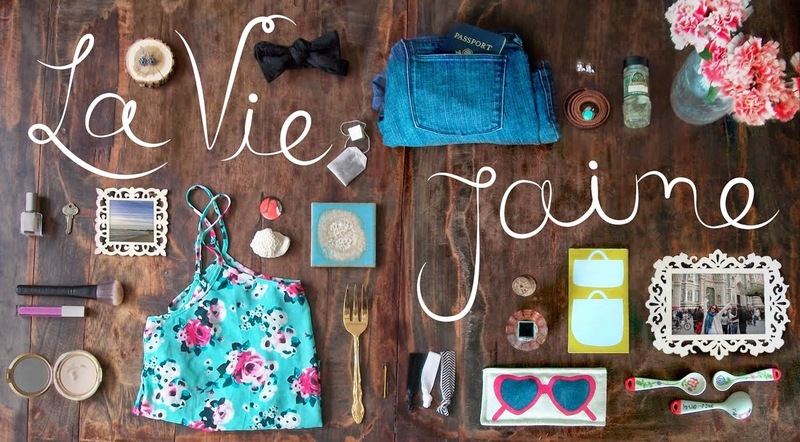 and I am excited to announce a $50.00 giveaway to be used at the Newbury Street store to a La vie...J'aime reader! 2. Comment on how you follow and your favorite pair/brand of jeans. That's it! Winner announced next Monday. Good luck! PS: I was not provided any compensation or monetary value by Blue Jeans Bar. I normally wear J. 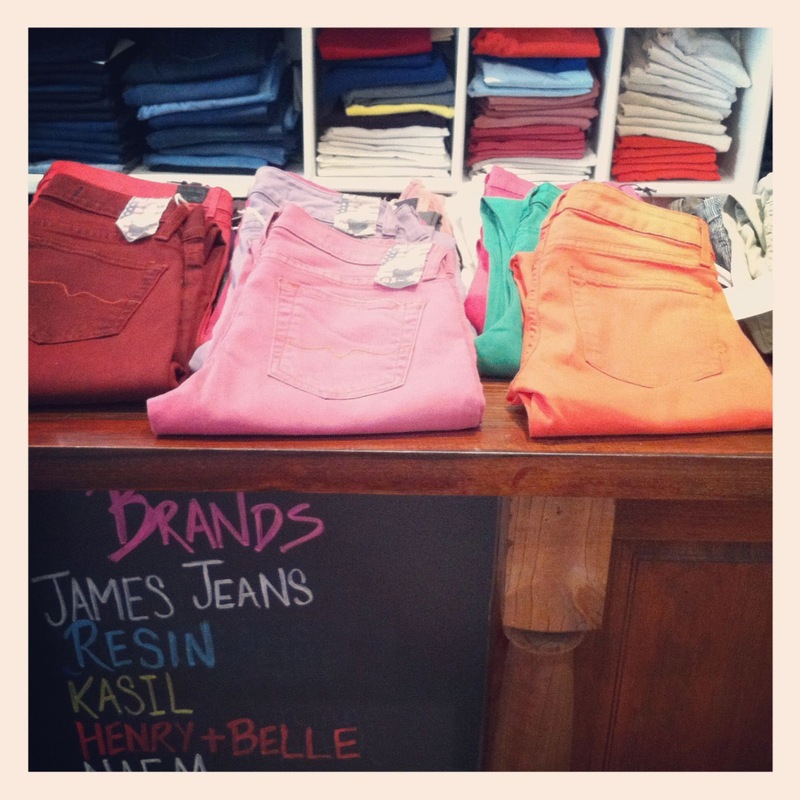 Crew or Madewell jeans. 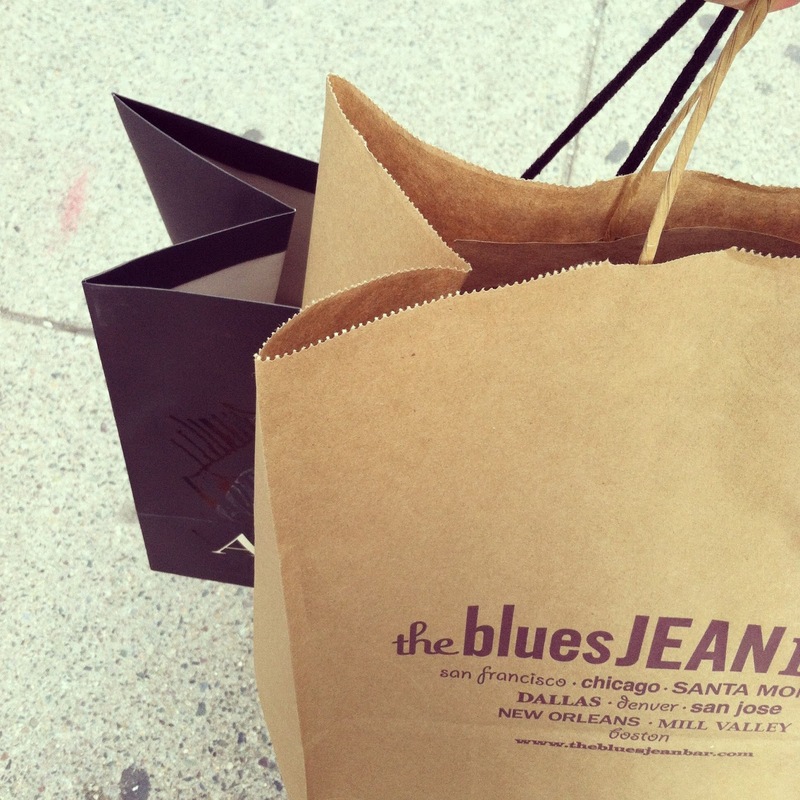 But I'd love to visit the Blue Jeans Bar and try something new. I follow you on here, Twitter and Pinterest! I'm the worst at jean shopping -- it makes me crazy; but this looks like a place where anyone could find a pair of jeans that fits -- fingers crossed! 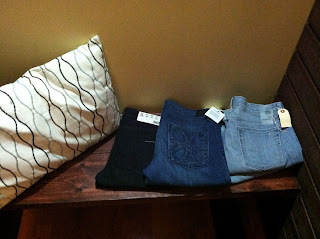 i follow you here and on facebook (AND IN LIFE), and i am STILL on a search for my favorite brand of jeans. i will definitely be hitting newbury whether i win or not. I think I follow you pretty much every which way possible. 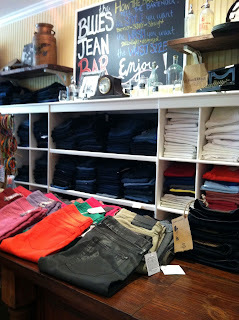 :) As for favorite jeans, I splurged on a pair of Rag & Bones capris (they fit me perfectly as regular jeans). I follow you on twitter, bloglovin, you name it....haha. 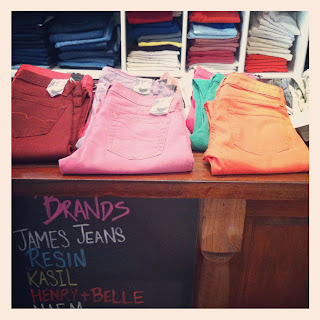 I'd say my fave jeans are my J Brands- they always get the fit just right. Just started following you on Twitter! 7FAM are my favorites - I love how perfectly they fit and how well they wear! That's a cool concept! I don't know if it would work for me, though, because I'm absolutely horrid at describing outfits/pieces that I imagine! First of all - LOVED meeting you last night! Second, I'm following you via GFC & Twitter. And third, I don't have a favorite pair of jeans. Isn't that sad? 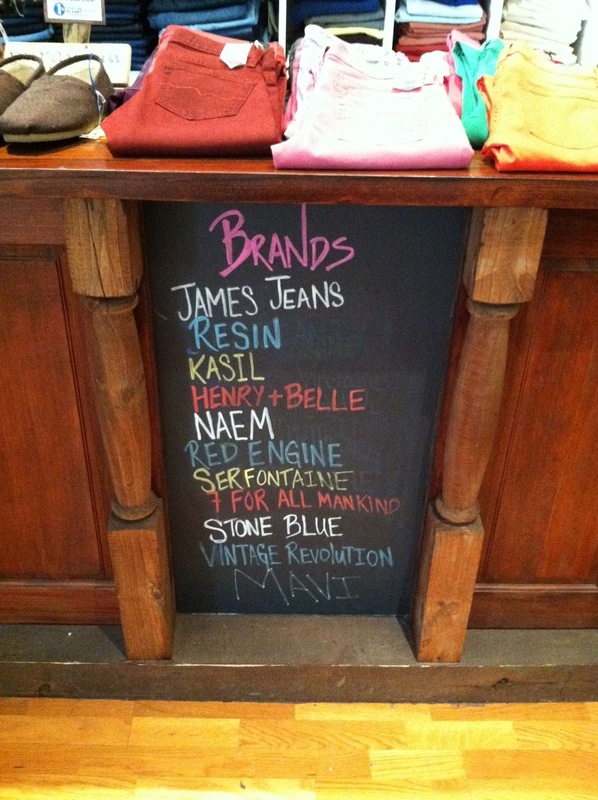 Clearly, I need to visit the Blue Jeans Bar! Love it! I follow you on Twitter and Pinterest and check the blog all the time! My fav. jeans are Seven for All Mankind, and Lucky Brand but I'm looking to try some new ones. I need white jeans for summer!